As if one dream home isn't enough to get us through the week, I'm having yet another one for you, my dears. And for me, to be quite honest, for I've been eyeing this amazing apartment many many days now. For the history, I was about to post serene wood and white interiors today but I found this place is already featuring all those calming assets such a combination can bear by itself. 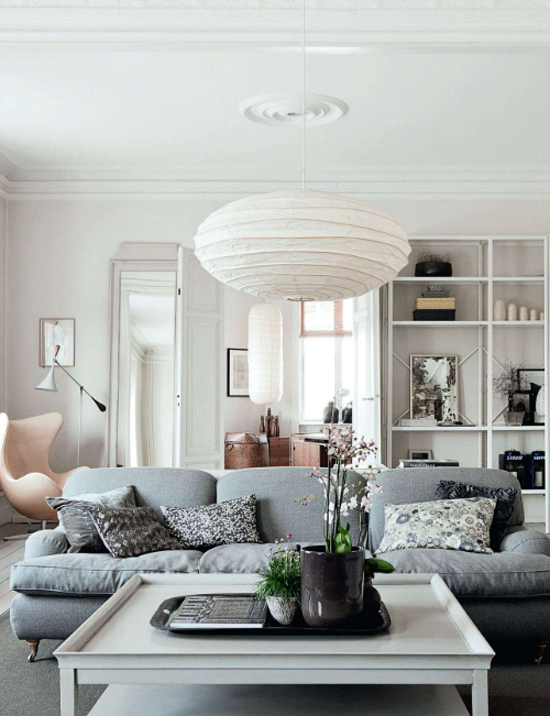 The living room looks so airy and calm, something like the ideal space to relax. 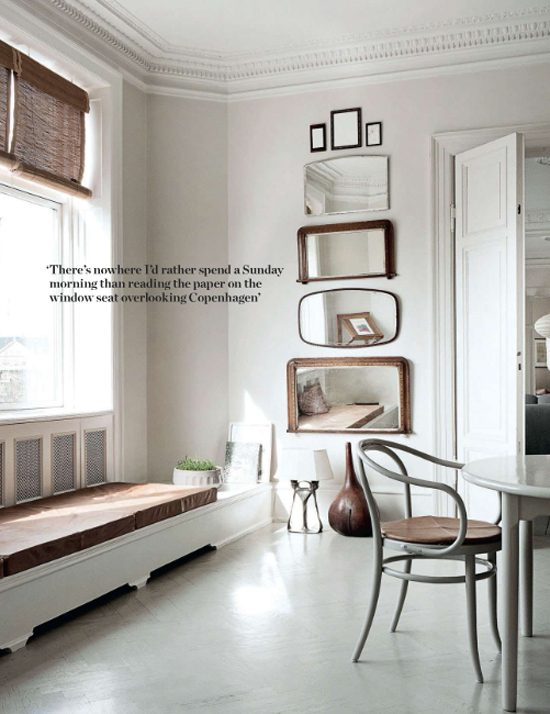 Love the centered position of the furniture, it creates a practical flow in the room while the low bookcase placed behind the sofa is a clever alternative to a typical console table. 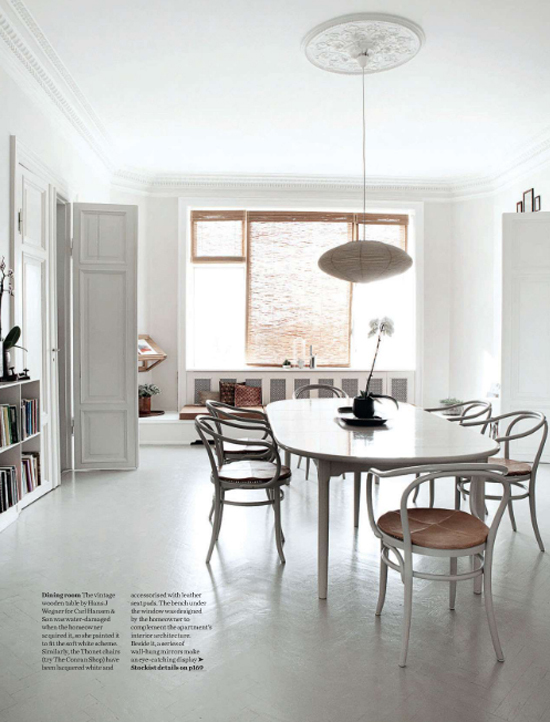 The off white palette is enhanced by the gray and pastel seating upholstery and the white lacquered surfaces. 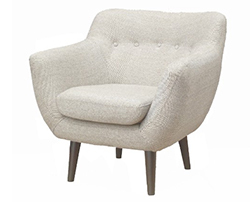 This cozy retro chair by Furniture for Modern Living would be a great addition to the room, don't you agree? Let me sigh over the painted wooden floors for a while. 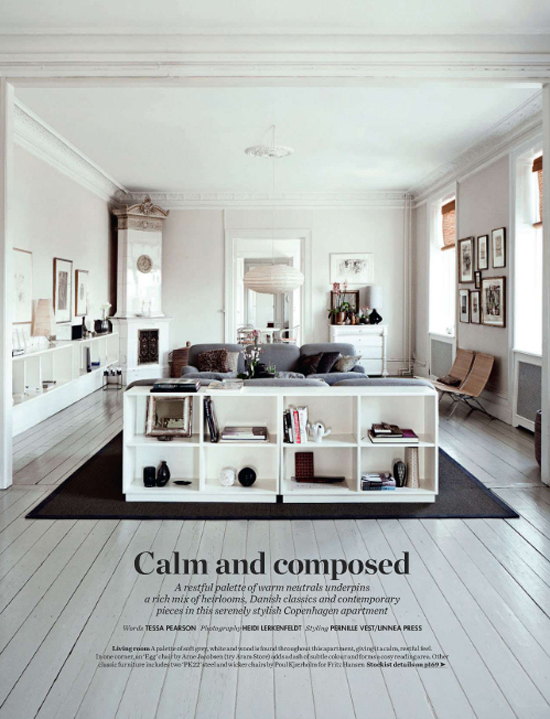 Long boards in the living room and rooms and a fishbone parquet in the dining room. I have a thing for white floors. I don't know whether I would paint my wooden floor any color (considering I had one) but they do look impressive nonetheless. On the other hand, the architecture of the apartment is equally stunning. I guess it takes an effort to make a room look ugly given such interiors to work with. Not that in this case the designer didn't try otherwise. Quite successfully I may add. 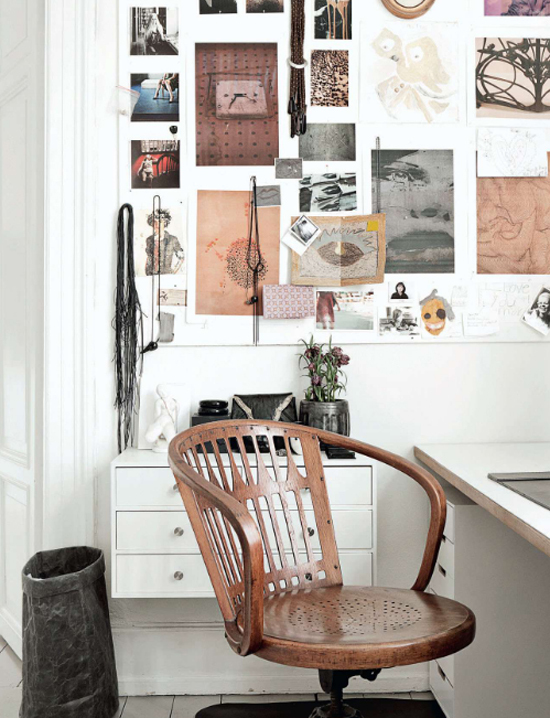 This apartment is not only gorgeous to live in but work in there as well. I know myself; I'd hardly ever live this place, especially when cold and rainy outside. 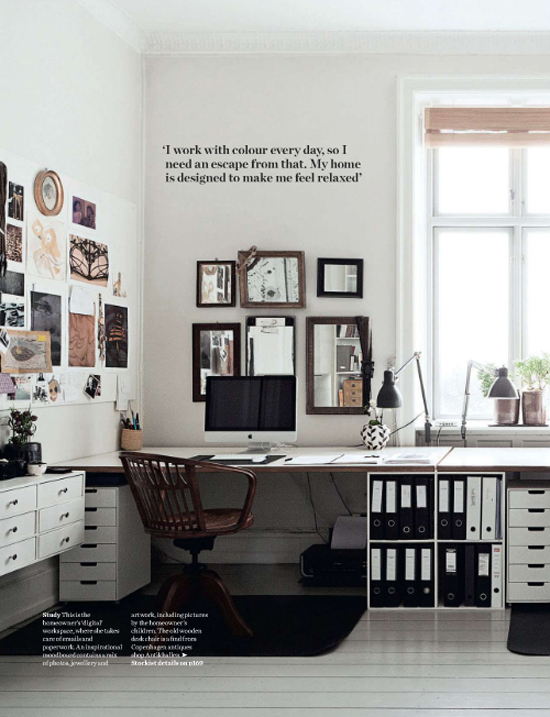 I already am picturing myself in this neo retro wood and white home office, brainstorming on my new design project. 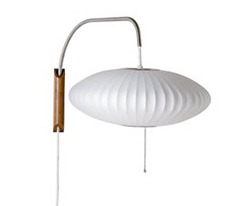 I'd like to point out here, the bamboo window shades and the delicate white pendants that exist throughout all the rooms. 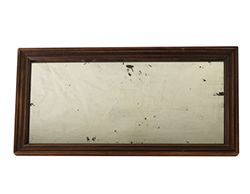 Also, the almost monochromatic neutral shaded art prints and vintage mirrors and frames on the walls add a subtle tone that binds the whole apartment together. 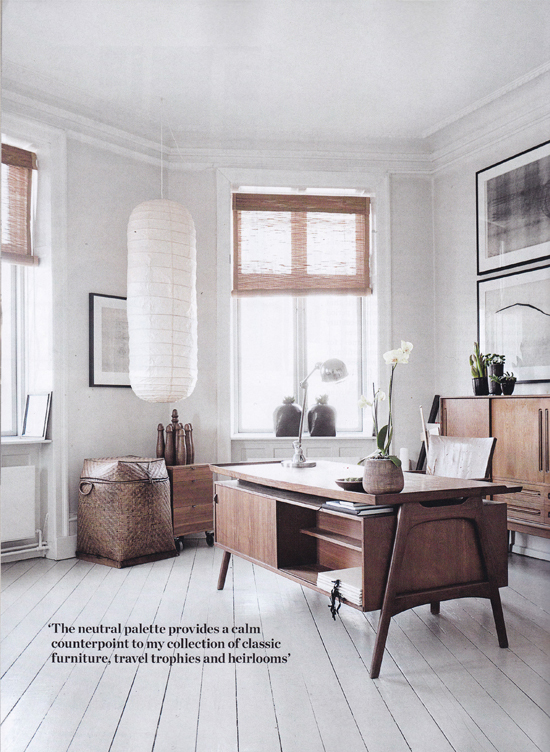 Images by Heidi Lerkenfeldt for Elle Decor UK via Bliss. 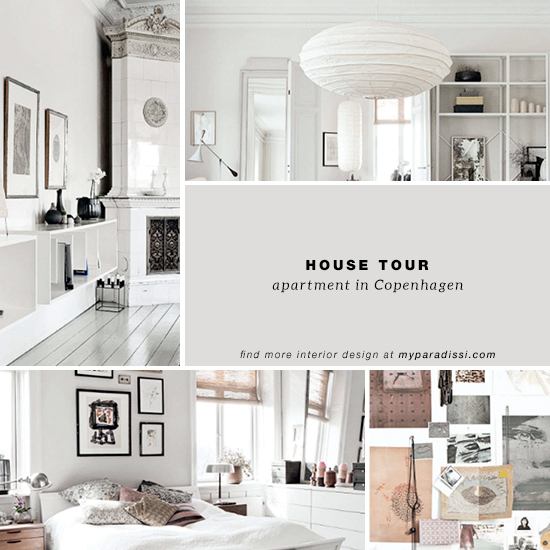 3 comments on "Serene apartment in Copenhagen"
The place looks so elegant yet cozy and comfortable. One of the best interiors I've seen. Love this space! I adore the clean lines and cozy elements.